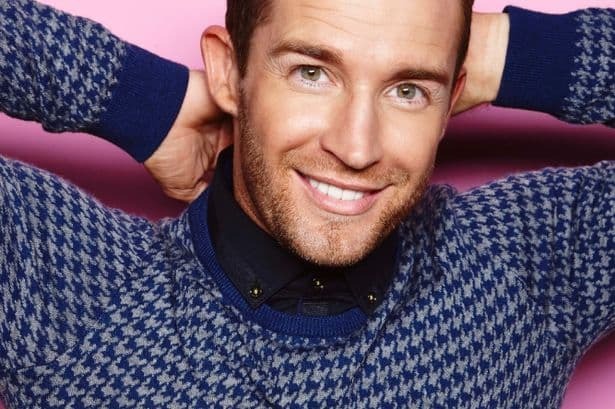 It’s Big Band Week this week on the X Factor, and despite never really looking in serious trouble before last week’s sing-off, circumstances might have conspired against Jay James leaving him in danger of the boot this week. It was a controversial elimination last week as Paul Akister was sent home in favour of Jay, after arguably giving a better performance in the sing-off. Social media went into overdrive after the result, and gave the X Factor just the sort of publicity it craves. It’s not unusual for the winner of a sing-off to stay out of the bottom two the following week – as the public begin to vote if they think they’re favourite act is in danger – but Jay may not receive that luxury this weekend. Song choices are still being kept under wraps at the time of writing, but what we do know is that each act will be taking on a Big Band song – and it will suit some more than others. Fleur’s tweet that she is ‘going back to basics’ this week has fuelled speculation that she is taking on a Christina Aguilera number, while Stereo Kick’s have confirmed that they have been rehearsing with a 30-piece band. Rumours are also abound that Stevi will perform ‘Fly Me to the Moon’, but there is no confirmation on whether any of the acts will perform the dreaded ‘That’s Life’. Band aid 30 will be debuted on Sunday’s results show – The thirty year anniversary of the original charity song has seen a reboot to raise money to help support work against the Ebola crisis. While he has done little to deserve to leave, and others should be ahead of him, he looks like a fairly dispensable act and may fall foul of ‘production’. Simon now has four of his ‘Overs’ left in the competition, and the time has come to trim the numbers. Cheryl has just the one act left in Lauren Platt, as does Mel B with Andrea. Both of those acts look destined for the final, and it seems unlikely that they would leave either judge without an act at this stage. Louis has two groups left – Only the Young and Stereo Kicks – and either could be vulnerable this week, but it looks nailed on that at least one of Simon’s overs will be in the bottom two. Of his acts, Ben Haenow and Fleur East also look like strong candidates for the final, so that just leaves us with Stevi and Jay – along with the two groups. With Strictly performing well in the ratings on the opposite channel, the X Factor needs to generate column inches, and the best way to do that is by creating controversy. Stevi probably should have gone before now, but he has continued to enjoy the support of the judges, the producers, and the public. Simon’s comment last week of, “That will be the performance you’re remembered by”, may have put the writing on the wall for Stevi this week, but the show would be duller without him, and cynics might say he is being lined up for a ‘shock’ save against one of the more ‘talented’ acts. It would be no surprise to see him go, but there is a feeling that he might just have one more week in him. Like Stevi, one of the targets for Stereo Kicks would have been to get them on the tour. Now that those tour slots have been established, it’s possible that the band who have already featured in the bottom two twice, will go on to be eliminated. However, there has been a lot of positive press this week surrounding Stereo Kicks, and the judges have generally been positive in their reaction to them. The mixed group had looked in danger at one stage, but it appears that support for them behind the scenes is back. Simon’s comment along the lines that he ‘would steal them if he could’, bodes well for their chances. However, they were last to be told they were safe last week, and that often leads to an appearance in the following bottom two. The Big Band theme should be right up Jay’s street, but with other strong male vocalists in the competition, a bad song choice could render his performance forgettable by comparison. That’s why there might some value in taking him to be eliminated this week. It’s surely either a man or a group who will leave this week, with just two female artists left in the competition. Both Stereo Kicks and Only the Young may still have some mileage left in the competition, and either have the potential to be ‘commercially’ viable after the event. Stevi is arguably the ‘worst’ singer left in the competition, and now he’s on the tour he also looks vulnerable, but if ‘production’ decide he is worth keeping A) for entertainment value, or B) to use as a ‘shock’ save against a better performer for the sake of publicity, Jay could be the odd man out. Our prediction for the bottom two this week is for Jay and Only the Young to be pitched together in a sing-off, and for Only the Young to be saved at the expense of the Welsh crooner. Stereo Kicks might get lucky this week, but like Stevi, their days are surely numbered in the next couple of weeks, even if they do survive in this one. It can become a bit of a balancing act from here on in, as the show needs to retain a good blend for the sake of ratings, but ultimately, needs to ensure they end up with a viable and marketable winner. Results show live on ITV on Sunday 16th November.